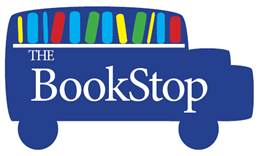 This summer Quaker Valley will be partnering with many local community organizations to launch a Book Stop program in our neighborhoods. In order to get our Book Stop running, we are in need of many gently used books. We are accepting and appreciative of all gently used books, target ages of babies through adults. Please drop your donations off at the office of your elementary school, or send them in with your student to deposit books in the boxes located outside the office. Be on the lookout for more information coming to you about the Bus Stop locations this summer!